DePuy Synthes Award – Abstract Award, Morbidity and Mortality of Endovascularly Treated Intracerebral Aneurysms: Does Specialty Matter? James, W. S., & Lemole, G. M. (2015). Neuron Based Surgery: Are we There Yet? Technical Developments in the Surgical Treatment of Brain Injury and Disease. In Technological Advances in Surgery, Trauma and Critical Care (pp 221-229). Springer Verlag. Martirosyan, N. L., Neckrysh, S., Charbel, F. T., Theodore, N., & Lemole, G. M. (2013). Vascular Lesions of the Spinal Cord. In Surgical Anatomy and Techniques to the Spine (pp 646-660). Philadelphia: Elsevier. Bruhns, R. P., James, W. S., Torabi, M., Borgstrom, M., & Lemole, G. M. (2017). Survival as a function of NSAID use in patients with glioblastoma mutiforme brain tumor. Surgical Neurology International . Bruhns, R. P., James, W. S., Torabi, M., Borgstrom, M., Roussas, A., & Lemole, M. (2018). Survival as a Function of Nonsteroidal Anti-inflammatory Drug Use in Patients with Glioblastoma. Cureus , 10(9), e3277. Background Findings of both case control and in vitro investigations suggest that non-steroidal anti-inflammatory drugs (NSAIDs) may play a beneficial role in the occurrence, growth, and subsistence of glioblastoma multiforme (GBM) brain tumor in humans. Objective In the present retrospective cohort study, we assessed the impact of NSAID use on survival in patients diagnosed with and treated for GBM brain tumors. Methods The impact of NSAID use and six other potential prognostic indicators of survival were assessed in 71 patients treated for GBM brain tumors from February 2011 to June 2016. Survival analysis and cross-tabulation analyses were performed to examine the potential relationship between NSAID use and occurrence of intracranial hemorrhage over the course of treatment for GBM. Results Kaplan-Meier analysis revealed no significant difference in survival between patients with and without NSAID use (p = 0.75; 95% CI: 10.12, 18.13). Multiple Cox regression analysis identified only treatment with chemotherapy as imposing any statistically significant effect on survival (Hazard Ratio (HR) = 3.31; p < 0.001; 95% CI: 1.80, 6.07). Cross-tabulation revealed no significant effect of NSAID use on occurrence of hemorrhage during treatment, X (2, N = 71) = 0.65, p = 0.42, (Fisher's Exact Test: p2-sided = 0.56, p1-sided = 0.31). Conclusion These results suggest that history of NSAID use is not a determinant of survival in GBM patients. More rigorous, prospective investigations of the effect of NSAID use on tumor progression are necessary before the utility of this family of drugs in the treatment of GBM can be adequately appraised. Knitter, J. R., Erly, W. K., Stea, B. D., Lemole, G. M., Germano, I. M., Doshi, A. H., & Nael, K. (2018). Interval Change in Diffusion and Perfusion MRI Parameters for the Assessment of Pseudoprogression in Cerebral Metastases Treated With Stereotactic Radiation. AJR. American journal of roentgenology , 211(1), 168-175. Apparent increases in the size of cerebral metastases after stereotactic radiosurgery (SRS) can be caused by pseudoprogression or true disease progression, which poses a diagnostic challenge at conventional MRI. The purpose of this study was to assess whether interval change in DWI and perfusion MRI parameters can differentiate pseudoprogression from progressive disease after treatment with SRS. Knitter, J. R., Erly, W. K., Stea, B., Lemole, G. M., Germano, I. M., Doshi, A. H., & Nael, K. (2017). Interval Change in MRI Diffusion and Perfusion Parameters for the Assessment of Pseudoprogression in Cerebral Metastases Treated with Stereotactic Radiation. American Journal of Roentgenology . Nael, K., Knitter, J., Hormigo, A., Doshi, A., Lemole, G. M., Germano, I. M., Puig, J., & Stea, B. (2017). Multiparametric MRI for Differentiation of Radiation Necrosis from Recurrent Tumor in Patients with Treated Glioblastoma. American Journal of Roentgenology . Nisson, P. L., Fard, S. A., Meybodi, A. T., Mooney, M. A., Kim, H., Jahnke, H., Walter, C. M., Dumont, T. M., Lemole, G. M., Lawton, M. T., & Spetzler, R. F. (2018). The Unique Features and Outcomes of Microsurgically Resected Cerebellar Arteriovenous Malformations. World neurosurgery , 120, e940-e949. Cerebellar arteriovenous malformations (CAVMs) are challenging to treat given their close proximity to the brain stem, greater propensity for rupture, and greater rates of morbidity and mortality than other brain arteriovenous malformations. The present investigation sought to describe and characterize the features of these rare and unique lesions. Watson, J. R., Martirosyan, N., Lemole, G. M., Trouard, T. P., & Romanowski, M. (2018). Intraoperative brain tumor resection with indocyanine green using augmented microscopy. Journal of biomedical optics , 23(9), 1-4. Treatment outcomes for brain cancer have seen dismal improvements over the last two decades as evident in available statistical data. Efforts to address this challenge include development of near-infrared contrast agents for improvements in diagnostic and therapeutic modalities. This creates a need for imaging technologies that can support the intraoperative use of such agents. Here, we report implementation of a recently introduced augmented microscope in combination with indocyanine green (ICG), a near-infrared contrast agent, for surgical image guidance of a glioma resection in a rat model. Luc-C6 cells were implanted in rats in the left-frontal lobe and grown for 22 days. Surgical resection was performed by a neurosurgeon using the augmented microscope with ICG contrast. ICG accumulated in the tumor tissue due to enhanced permeation and retention from the compromised blood-brain barrier. Videos and images were acquired to evaluate image quality and resection margins. The augmented microscope highlighted tumor tissue regions via visualization of ICG fluorescence and was capable of guiding the rat glioma resection. Fennell, V. S., Martirosyan, N. L., Atwal, G. S., Kalani, M. Y., Ponce, F. A., Lemole, G. M., Dumont, T. M., & Spetzler, R. F. (2017). Hemodynamics Associated With Intracerebral Arteriovenous Malformations: The Effects of Treatment Modalities. Neurosurgery . The understanding of the physiology of cerebral arteriovenous malformations (AVMs) continues to expand. Knowledge of the hemodynamics of blood flow associated with AVMs is also progressing as imaging and treatment modalities advance. The authors present a comprehensive literature review that reveals the physical hemodynamics of AVMs, and the effect that various treatment modalities have on AVM hemodynamics and the surrounding cortex and vasculature. The authors discuss feeding arteries, flow through the nidus, venous outflow, and the relative effects of radiosurgical monotherapy, endovascular embolization alone, and combined microsurgical treatments. The hemodynamics associated with intracranial AVMs is complex and likely changes over time with changes in the physical morphology and angioarchitecture of the lesions. Hemodynamic change may be even more of a factor as it pertains to the vast array of single and multimodal treatment options available. An understanding of AVM hemodynamics associated with differing treatment modalities can affect treatment strategies and should be considered for optimal clinical outcomes. Palejwala, S. K., Rughani, A. I., Lemole, G. M., & Dumont, T. M. (2017). Socioeconomic and regional differences in the treatment of cervical spondylotic myelopathy. Surgical neurology international , 8, 92. Cervical spondylotic myelopathy (CSM) is the leading cause of spinal cord dysfunction in the world. Surgical treatment is both medically and economically advantageous, and can be achieved through multiple approaches, with or without fusion. We used the Nationwide Inpatient Sample (NIS) database to better elucidate regional and socioeconomic variances in the treatment of CSM. Palejwala, S. K., Sharma, S., Le, C. H., Chang, E., & Lemole, G. M. (2017). Complications of Advanced Kadish Stage Esthesioneuroblastoma: Single Institution Experience and Literature Review. Cureus . Palejwala, S. K., Sharma, S., Le, C. H., Chang, E., & Lemole, M. (2017). Complications of Advanced Kadish Stage Esthesioneuroblastoma: Single Institution Experience and Literature Review. Cureus , 9(5), e1245. In esthesioneuroblastoma, greater disease extent and Kadish staging correlate with greater recurrence, complications, and mortality. These advanced stage malignancies require extensive resections and aggressive adjuvant therapy. This increases the risk of complications such as cerebrospinal fluid leak, neurologic deficits, and osteomyelitis. We present our case series and then analyze the literature to ascertain whether advanced stage tumors corresponds to greater rates of complications. Palejwala, S. K., Sharma, S., Le, C. H., Chang, E., Erman, A. B., & Lemole, G. M. (2017). Complex Skull Base Reconstructions in Kadish D Esthesioneuroblastoma: Case Report. Journal of neurological surgery reports , 78(2), e86-e92. Introduction Advanced Kadish stage esthesioneuroblastoma requires more extensive resections and aggressive adjuvant therapy to obtain adequate disease-free control, which can lead to higher complication rates. We describe the case of a patient with Kadish D esthesioneuroblastoma who underwent multiple surgeries for infectious, neurologic, and wound complications, highlighting potential preventative and salvage techniques. Case Presentation A 61-year-old man who presented with a large left-sided esthesioneuroblastoma, extending into the orbit, frontal lobe, and parapharyngeal nodes. He underwent margin-free endoscopic-assisted craniofacial resection with adjuvant craniofacial and cervical radiotherapy and concomitant chemotherapy. He then returned with breakdown of his skull base reconstruction and subsequent frontal infections and ultimately received 10 surgical procedures with surgeries for infection-related issues including craniectomy and abscess evacuation. He also had surgeries for skull base reconstruction and CSF leak, repaired with vascularized and free autologous grafts and flaps, synthetic tissues, and CSF diversion. Discussion Extensive, high Kadish stage tumors necessitate radical surgical resection, radiation, and chemotherapy, which can lead to complications. Ultimately, there are several options available to surgeons, and although precautions should be taken whenever possible, risk of wound breakdown, leak, or infection should not preclude radical surgical resection and aggressive adjuvant therapies in the treatment of esthesioneuroblastoma. Ramey, W. L., Basken, R. L., Walter, C. M., Khalpey, Z., Lemole, G. M., & Dumont, T. M. (2017). Intracranial Hemorrhage in Patients with Durable Mechanical Circulatory Support Devices: Institutional Review and Proposed Treatment Algorithm. World neurosurgery , 108, 826-835. Spontaneous intracranial hemorrhage (ICH) is frequently managed in neurosurgery. Patients with durable mechanical circulatory support devices, including total artificial heart (TAH) and left ventricular assist device (LVAD), are often encountered in the setting of ICH. Although durable mechanical circulatory support devices have improved survival and quality of life for patients with advanced heart failure, ICH is one of the most feared complications following LVAD and TAH implantation. Owing to anticoagulation and clinically relevant acquired coagulopathies, ICH should be treated promptly by neurosurgeons and cardiac critical care providers. We provide an analysis of ICH in patients with mechanical circulatory support and propose a treatment algorithm. Bina, R. W., Lemole, G. M., & Dumont, T. M. (2016). Measuring quality of neurosurgical care: Readmission is affected by patient factors. World neurosurgery . The Hospital Readmission Reduction Program section of the Patient Protection and Affordable Care Act uses readmission rates as a proxy for measuring quality of care. Multiple studies have demonstrated that readmission rates are highly imprecise proxies for quality of care as readmission rates contain large amounts of statistical noise and are dependent on disease type, insurance type, severity, population, and a multitude of other factors. The current study was conducted to investigate characteristics associated with readmission and the quality of neurosurgical care. Bina, R. W., Lemole, G. M., & Dumont, T. M. (2016). On resident duty hour restrictions and neurosurgical training: review of the literature. Journal of neurosurgery , 1-7. Within neurosurgery, the national mandate of the 2003 duty hour restrictions (DHR) by the Accreditation Council for Graduate Medical Education (ACGME) has been controversial. Ensuring the proper education and psychological well-being of residents while fulfilling the primary purpose of patient care has generated much debate. Most medical disciplines have developed strategies that address service needs while meeting educational goals. Additionally, there are numerous studies from those disciplines; however, they are not specifically relevant to the needs of a neurosurgical residency. The recent implementation of the 2011 DHR specifically aimed at limiting interns to 16-hourduty shifts has proven controversial and challenging across the nation for neurosurgical residencies-again bringing education and service needs into conflict. In this report the current literature on DHR is reviewed, with special attention paid to neurosurgical residencies, discussing resident fatigue, technical training, and patient safety. Where appropriate, other specialty studies have been included. The authors believe that a one-size-fits-all approach to residency training mandated by the ACGME is not appropriate for the training of neurosurgical residents. In the authors' opinion, an arbitrary timeline designed to limit resident fatigue limits patient care and technical training, and has not improved patient safety. Bina, R., Lemole, G. M., & Dumont, T. M. (2016). Editorial Response: On resident duty hour restriction and neurosurgical training. Journal of Neurosurgery , 124(3), 841. Dumont, T. M., Fennell, V. S., & Lemole, G. M. (2016). Response. Journal of neurosurgery , 124(1), 11-2. Dumont, T. M., Fennell, V. S., & Lemole, G. M. (2016). Response. Journal of neurosurgery , 124(1), 8. Dumont, T. M., Lemole, G. M., & Fennell, V. (2016). Editorial Response: Does physician specialty matter?. Journal of Neurosurgery , 124(1), 8. Fennell, V. S., Martirosyan, N. L., Atwal, G. S., Kalani, M. Y., Spetzler, R. F., Lemole, G. M., & Dumont, T. (2016). Effective Surgical Management of Competitive Venous Outflow Restriction After Radiosurgery for Cerebral AVMs: Report of 2 Cases. World neurosurgery . Intracranial arteriovenous malformations (AVMs) are complex pathologies. For patients who do not present with hemorrhage, treatment strategies are often predicated on reducing the risk of hemorrhage and minimizing morbidity. Outcomes vary according to the efficacy of treatment selected. Radiosurgical treatment of certain AVMs can result in incomplete obliteration and may also have only a minimal effect on the presenting nonhemorrhagic symptoms. Fennell, V. S., Martirosyan, N. L., Palejwala, S. K., Lemole, G. M., & Dumont, T. M. (2016). Morbidity and mortality of patients with endovascularly treated intracerebral aneurysms: does physician specialty matter?. Journal of neurosurgery , 124(1), 13-7. OBJECT Endovascular treatment of cerebrovascular pathology, particularly aneurysms, is becoming more prevalent. There is a wide variety in clinical background and training of physicians who treat cerebrovascular pathology through endovascular means. The impact of clinical training background on patient outcomes is not well documented. METHODS The authors conducted a retrospective analysis of a large national database, the University HealthSystem Consortium, that was queried in the years 2009-2013. Cases of both unruptured cerebral aneurysms and subarachnoid hemorrhage treated by endovascular obliteration were studied. Outcome measures of morbidity and mortality were evaluated according to the specialty of the treating physician. RESULTS Elective embolization of an unruptured aneurysm was the procedure code and primary diagnosis, respectively, for 12,400 cases. Patients with at least 1 complication were reported in 799 cases (6.4%). Deaths were reported in 193 cases (1.6%). Complications and deaths were varied by specialty; the highest incidence of complications (11.1%) and deaths (3.0%) were reported by neurologists. The fewest complications were reported by neurosurgeons (5.4%; 1.4% deaths), with a higher incidence of complications reported in cases performed by neurologists (p < 0.0001 for both complications and deaths) and to a lesser degree interventional radiologists (p = 0.0093 for complications). Subarachnoid hemorrhage was the primary diagnosis and procedure for 8197 cases. At least 1 complication was reported in 2385 cases (29%) and deaths in 983 cases (12%). The number of complications and deaths varied among specialties. The highest incidence of complications (34%) and deaths (13.5%) in subarachnoid hemorrhage was in cases performed by neurologists. The fewest complications were in cases by neurosurgeons (27%), with a higher incidence of complications in cases performed by neurologists (34%, p < 0.0001), and a trend of increased complications with interventional radiologists (30%, p < 0.0676). The lowest incidence of mortality was in cases performed by neurosurgeons (11.5%), with a significantly higher incidence of mortality in cases performed by neurologists (13.5%, p = 0.0372). Mortality rates did not reach statistical significance with respect to interventional radiologists (12.1%, p = 0.4884). CONCLUSIONS Physicians of varied training types and backgrounds use endovascular treatment of ruptured and unruptured intracerebral aneurysms. In this study there was a statistically significant finding that neurosurgically trained physicians may demonstrate improved outcomes with respect to endovascular treatment of unruptured aneurysms in this cohort. This finding warrants further investigation. Frankl, J., Grotepas, C., Stea, B., Lemole, G. M., Chiu, A. G., & Khan, R. (2016). Chordoma Dedifferentiation After Proton Beam Therapy: A Case Report. J Med Case Rep , 10(1), 280. Frankl, J., Grotepas, C., Stea, B., Lemole, G. M., Chiu, A. G., & Khan, R. (2016). Chordoma Dedifferentiation After Proton Beam Therapy: A Case Report. J Med Case Rep .
Palejwala, S. K., Barry, J. Y., Rodriguez, C. N., Parikh, C. A., Goldstein, S. A., & Lemole, G. M. (2016). Combined approaches to the skull base for intracranial extension of tumors via perineural spread can improve patient outcomes. Clinical neurology and neurosurgery , 150, 46-53. Many neoplasms of the head and neck extend centripetally, gaining access to the central nervous system via nerves through the skull base foramina. Often patients with perineural spread have been excluded from aggressive interventions given the overall poor prognosis and technical difficulty when addressing the perineural components. However, in carefully selected patients combined surgical approaches can provide the greatest potential for disease control as well as neural decompression for symptom relief. We performed a retrospective chart review of 20 consecutive patients who underwent skull base approaches for resection of tumors with intracranial extension via perineural spread from 2011 to 2014. Patients were evaluated for symptom change, surgical approaches, histopathology, adjuvant therapy, outcome, and prognosis. The most common presenting symptoms were pain or cranial nerve palsies. 55% of patients underwent endoscopic endonasal approaches, 50% transcranial approaches, and 15% underwent transfacial approaches. Overall 85% of patients reported symptom improvement in the post-operative period while 40% were completely asymptomatic following surgical resection. Ultimately, we observed a 45% mortality rate with an average survival of 8 months after diagnosis. In carefully selected patients, an aggressive multidisciplinary approach using a combination of surgical avenues to the skull base for the treatment of intracranial tumor via perineural extension can improve patient quality of life. Palejwala, S. K., Barry, J., Rodriguez, C. N., Parikh, C. A., Goldstein, S. A., & Lemole, G. M. (2016). Combined Approaches to the Skull Base for Intracranial Extension of Tumors via Perineural Spread Can Improve Patient Outcomes. Clinical Neurology and Neurosurgery . Palejwala, S. K., Zangeneh, T. T., Goldstein, S. A., & Lemole, G. M. (2016). An aggressive multidisciplinary approach reduces mortality in rhinocerebral mucormycosis. Surgical neurology international , 7, 61. Rhinocerebral mucormycosis occurs in immunocompromised hosts with uncontrolled diabetes, solid organ transplants, and hematologic malignancies. Primary disease is in the paranasal sinuses but often progresses intracranially, via direct extension or angioinvasion. Rhinocerebral mucormycosis is rapidly fatal with a mortality rate of 85%, even when maximally treated with surgical debridement, antifungal therapy, and correction of underlying processes. Joseph, B., Pandit, V., Khalil, M., Kulvatunyou, N., Aziz, H., Tang, A., OʼKeeffe, T., Hays, D., Gries, L., Lemole, M., Friese, R. S., & Rhee, P. (2015). Use of prothrombin complex concentrate as an adjunct to fresh frozen plasma shortens time to craniotomy in traumatic brain injury patients. Neurosurgery , 76(5), 601-7; discussion 607. The use of prothrombin complex concentrate (PCC) to reverse acquired (coagulopathy of trauma) and induced coagulopathy (preinjury warfarin use) is well defined. Martirosyan, N. L., Kalani, M. Y., Lemole, G. M., Spetzler, R. F., Preul, M. C., & Theodore, N. (2015). Microsurgical anatomy of the arterial basket of the conus medullaris. Journal of neurosurgery. Spine , 22(6), 672-6. OBJECT The arterial basket of the conus medullaris (ABCM) consists of 1 or 2 arteries arising from the anterior spinal artery (ASA) and circumferentially connecting the ASA and the posterior spinal arteries (PSAs). The arterial basket can be involved in arteriovenous fistulas and arteriovenous malformations of the conus. In this article, the authors describe the microsurgical anatomy of the ABCM with emphasis on its morphometric parameters and important role in the intrinsic blood supply of the conus medullaris. METHODS The authors performed microsurgical dissections on 16 formalin-fixed human spinal cords harvested within 24 hours of death. The course, diameter, and branching angles of the arteries comprising the ABCM were then identified and measured. In addition, histological sections were obtained to identify perforating vessels arising from the ABCM. RESULTS The ASA tapers as it nears the conus medullaris (mean preconus diameter 0.7 ± 0.12 mm vs mean conus diameter 0.38 ± 0.08 mm). The ASA forms an anastomotic basket with the posterior spinal artery (PSA) via anastomotic branches. In most of the specimens (n= 13, 81.3%), bilateral arteries formed connections between the ASA and PSA. However, in the remaining specimens (n= 3, 18.7%), a unilateral right-sided anastomotic artery was identified. The mean diameter of the right ABCM branch was 0.49 ± 0.13 mm, and the mean diameter of the left branch was 0.53 ± 0.14 mm. The mean branching angles of the arteries forming the anastomotic basket were 95.9° ± 36.6° and 90° ± 34.3° for the right- and left-sided arteries, respectively. In cases of bilateral arterial anastomoses between the ASA and PSA, the mean distance between the origins of the arteries was 4.5 ± 3.3 mm. Histological analysis revealed numerous perforating vessels supplying tissue of the conus medullaris. CONCLUSIONS The ABCM is a critical anastomotic connection between the ASA and PSA, which play an important role in the intrinsic blood supply of the conus medullaris. The ABCM provides an important compensatory function in the blood supply of the spinal cord. Its involvement in conus medullaris vascular malformations makes it a critical anatomical structure. Martirosyan, N. L., Skoch, J., Watson, J. R., Lemole, G. M., Romanowski, M., & Anton, R. (2015). Integration of indocyanine green videoangiography with operative microscope: augmented reality for interactive assessment of vascular structures and blood flow. Neurosurgery , 11 Suppl 2, 252-7; discussion 257-8. Preservation of adequate blood flow and exclusion of flow from lesions are key concepts of vascular neurosurgery. Indocyanine green (ICG) fluorescence videoangiography is now widely used for the intraoperative assessment of vessel patency. Ramey, W. L., Arnold, S. J., Chiu, A., & Lemole, M. (2015). A Rare Case of Optic Nerve Schwannoma: Case Report and Review of the Literature. Curēus , 7(4), e265. Schwannomas are typically benign tumors of the peripheral nervous system that originate from Schwann cells. It is well known that the optic nerves are myelinated by oligodendrocytes since their cell bodies arise centrally within the lateral geniculate nuclei. Because of this basic cellular anatomy, optic schwannomas should theoretically not exist. It is possible, however, these rare lesions stem from small sympathetic fibers that innervate the vasculature surrounding the optic nerve and its sheath. Watson, J. R., Gainer, C. F., Martirosyan, N., Skoch, J., Lemole, G. M., Anton, R., & Romanowski, M. (2015). Augmented microscopy: real-time overlay of bright-field and near-infrared fluorescence images. Journal of biomedical optics , 20(10), 106002. Intraoperative applications of near-infrared (NIR) fluorescent contrast agents can be aided by instrumentation capable of merging the view of surgical field with that of NIR fluorescence. We demonstrate augmented microscopy, an intraoperative imaging technique in which bright-field (real) and electronically processed NIR fluorescence (synthetic) images are merged within the optical path of a stereomicroscope. Under luminance of 100,000 lx, representing typical illumination of the surgical field, the augmented microscope detects 189 nM concentration of indocyanine green and produces a composite of the real and synthetic images within the eyepiece of the microscope at 20 fps. Augmentation described here can be implemented as an add-on module to visualize NIR contrast agents, laser beams, or various types of electronic data within the surgical microscopes commonly used in neurosurgical, cerebrovascular, otolaryngological, and ophthalmic procedures. Zangbar, B., Wynne, J., Joseph, B., Pandit, V., Meyer, D., Kulvatunyou, N., Khalil, M., O'Keeffe, T., Tang, A., Lemole, M., Friese, R. S., & Rhee, P. (2015). Traumatic intracranial aneurysm in blunt trauma. Brain injury , 29(5), 601-6. Computed Tomography Angiography (CTA) is being used to identify traumatic intracranial aneurysms (TICA) in patients with findings such as skull fracture and intracranial haemorrhage on initial Computed Tomography (CT) scans after blunt traumatic brain injury (TBI). However, the incidence of TICA in patients with blunt TBI is unknown. The aim of this study is to report the incidence of TICA in patients with blunt TBI and to assess the utility of CTA in detecting these lesions. Fennell, V. S., Klein, R., Polonski, L., & Lemole, G. M. (2014). Solitary Fibrous Tumor of the Orbit in Conjunction with Metastatic Prostate Cancer. J Neurol Surg B .
Joseph, B., Aziz, H., Pandit, V., Kulvatunyou, N., Sadoun, M., Tang, A., O'Keeffe, T., Gries, L., Green, D. J., Friese, R. S., Lemole, M. G., & Rhee, P. (2014). Prospective validation of the brain injury guidelines: managing traumatic brain injury without neurosurgical consultation. The journal of trauma and acute care surgery , 77(6), 984-8. To optimize neurosurgical resources, guidelines were developed at our institution, allowing the acute care surgeons to independently manage traumatic intracranial hemorrhage less than or equal to 4 mm. The aim of our study was to evaluate our established Brain Injury Guidelines (BIG 1 category) for managing patients with traumatic brain injury (TBI) without neurosurgical consultation. Nielsen, V. G., Lemole, G. M., Matika, R. W., Weinand, M. E., Hussaini, S., Baaj, A. A., & Steinbrenner, E. B. (2014). Brain tumors enhance plasmatic coagulation: the role of hemeoxygenase-1. Anesthesia and analgesia , 118(5), 919-24. Patients with brain tumors suffer significant thrombotic morbidity and mortality. In addition to increased thrombin generation via tumor release of tissue factor-bearing microparticles and hyperfibrinogenemia, brain tumors and surrounding normal brain likely generate endogenous carbon monoxide (CO) via the hemeoxygenase-1 (HO-1) system. CO has been shown to enhance plasmatic coagulation via formation of carboxyhemefibrinogen (COHF). Thus, our goals in this study were to determine whether patients with brain tumors had increased HO-1 upregulation/CO production, plasmatic hypercoagulability, and formation of COHF. Palejwala, S. K., Stidd, D. A., Skoch, J. M., Gupta, P., Lemole, G. M., & Weinand, M. E. (2014). Use of a stop-flow programmable shunt valve to maximize CNS chemotherapy delivery in a pediatric patient with acute lymphoblastic leukemia. Surgical neurology international , 5(Suppl 4), S273-7. The requirement for frequent intraventricular drug delivery in the setting of shunt dependence is particularly challenging in the treatment of central nervous system infection, neoplastic disease, and hemorrhage. This is especially relevant in the pediatric population where both hematogenous malignancy requiring intrathecal drug delivery and shunt-dependent hydrocephalus are more prevalent. Intrathecal and intraventricular chemotherapy agents can be prematurely diverted in these shunt-dependent patients. Lemole, G. M. (2013). Living in the Limelight: When the Media Comes Calling. AANS Neurosurgeon: Features , 22(4). Lemole, G. M., & Behbahani, B. A. (2013). Retrospective Study of Skull Base Fracture: A Study of Incidents, Complications, Management, and Outcome Overview from Trauma-One-Level Institute over Five Years. J Neurol Surg B .
Miller, C., Khan, R., Lemole, G. M., & Jacob, A. (2013). Osteoblastoma of the lateral skull base: work-up, surgical management, and a review of the literature". Journal of neurological surgery reports , 74(1), 37-42. Objectives To describe the work-up and surgical management of an osteoblastoma involving the lateral skull base. Typically occurring in the spine or long bones, osteoblastomas of the craniofacial skeleton are exceedingly rare and infrequently reported. A review of the current literature regarding temporal bone osteoblastoma, diagnosis, and treatment is described. Methods This case report describes the clinical presentation, radiographic studies, surgical management, histology, and postoperative follow-up of a young man presenting to a tertiary care neurotology practice with osteoblastoma involving the lateral skull base. A review of the current literature regarding osteoblastoma of the skull base, work-up, and treatment is described. Results A 15-year-old adolescent boy with a greater than 1-year history of right-sided retroauricular pain, a palpable postauricular mass, and chronic headaches presented for evaluation/management. Microscope examination of the ears, hearing, and cranial nerve function were normal. High-resolution temporal bone computed tomography and magnetic resonance imaging scans were obtained, which revealed an expansile mass involving the junction of the temporal and occipital bones. The patient underwent a combined retrosigmoid/retrolabyrinthine resection of this extradural tumor. Histology revealed a benign bone neoplasm consistent with osteoblastoma. Complete surgical resection was achieved, and the patient's symptoms fully resolved. Follow-up imaging studies found no evidence of recurrence. The scientific literature relevant to work-up and management of osteoblastoma is reviewed. Discussion Osteoblastomas of the lateral skull base are rare, histologically benign tumors that can present with radiographic features suggestive of malignancy. An en bloc resection is important for both diagnosis and definitive treatment of these neoplasms. The differential diagnosis on imaging and histology is discussed. Ramey, W. L., Martirosyan, N. L., Lieu, C. M., Hasham, H. A., Lemole, G. M., & Weinand, M. E. (2013). Current management and surgical outcomes of medically intractable epilepsy. Clinical neurology and neurosurgery , 115(12), 2411-8. Epilepsy is one of the most common neurologic disorders in the world. While anti-epileptic drugs (AEDs) are the mainstay of treatment in most cases, as many as one-third of patients will have a refractory form of disease indicating the need for a neurosurgical evaluation. Ever since the first half of the twentieth century, surgery has been a major treatment option for epilepsy, but the last 10-15 years in particular has seen several major advances. As shown in relatively recent studies, resection is more effective for medically intractable epilepsy (MIE) than AED treatment alone, which is why most clinicians now endorse a neurosurgical consultation after approximately two failed regimens of AEDs, ultimately leading to decreased healthcare costs and increased quality of life. Temporal lobe epilepsy (TLE) is the most common form of MIE and comprises about 80% of epilepsy surgeries with the majority of patients gaining complete seizure-freedom. As the number of procedures and different approaches continues to grow, temporal lobectomy remains consistently focused on resection of mesial structures such as the amygdala, hippocampus, and parahippocampal gyrus while preserving as much of the neocortex as possible resulting in optimum seizure control with minimal neurological deficits. MIE originating outside the temporal lobe is also effectively treated with resection. Though not as successful as TLE surgery because of their frequent proximity to eloquent brain structures and more diffuse pathology, epileptogenic foci located extratemporally also benefit from resection. Favorable seizure outcome in each of these procedures has heavily relied on pre-operative imaging, especially since the massive surge in MRI technology just over 20 years ago. However, in the absence of visible lesions on MRI, recent improvements in secondary imaging modalities such as fluorodeoxyglucose positron emission computed tomography (FDG-PET) and single-photon emission computed tomography (SPECT) have lead to progressively better long-term seizure outcomes by increasing the neurosurgeon's visualization of supposed non-lesional foci. Additionally, being historically viewed as a drastic surgical intervention for MIE, hemispherectomy has been extensively used quite successfully for diffuse epilepsies often found in pediatric patients. Although total anatomic hemispherectomy is not utilized as commonly today, it has given rise to current disconnective techniques such as hemispherotomy. Therefore, severe forms of hemispheric developmental epilepsy can now be surgically treated while substantially decreasing the amount of potential long-term complications resulting from cavitation of the brain following anatomical hemispherectomy. Despite the rapid pace at which we are gaining further knowledge about epilepsy and its surgical treatment, there remains a sizeable underutilization of such procedures. By reviewing the recent literature on resective treatment of MIE, we provide a recent up-date on epilepsy surgery while focusing on historical perspectives, techniques, prognostic indicators, outcomes, and complications associated with several different types of procedures. Skoch, J., Ansay, T. L., & Lemole, G. M. (2013). Injury to the Temporal Lobe via Medial Transorbital Entry of a Toothbrush. Journal of neurological surgery reports , 74(1), 23-8. Objectives Intracranial penetration by foreign bodies entering via the orbit represent an unusual form of traumatic brain injury. Nevertheless, much is at stake with high risk for cranial nerve and neurovascular injury. We present a case where the bristled end of a toothbrush entered the brain as a projectile via the superior orbital fissure and discuss considerations for surgical management. Setting A 35-year-old woman suffered a periorbital injury after her husband threw an electric toothbrush at a wall and the head of the toothbrush became a missile that projected through her superior orbital fissure and into her right temporal lobe. She complained of headache and incomplete vision loss in the affected eye. Intervention After obtaining a cerebrovascular angiogram, we proceeded with emergent orbital decompression and anterograde extraction of the foreign body via a modified frontotemporal orbitozygomatic approach with drilling of the skull base allowing for en bloc removal of the toothbrush. Conclusions The patient recovered well with improvement in her vision and partial third and sixth nerve palsies. This report illustrates a unique mechanism of injury with a novel intracranial foreign body. We review the neurosurgeon's need for prompt management with an approach customized to the structure of the offending object, the damaged elements, and the surrounding cranial nerves and vascular anatomy. Alaraj, A., Lemole, M. G., Finkle, J. H., Yudkowsky, R., Wallace, A., Luciano, C., Banerjee, P. P., Rizzi, S. H., & Charbel, F. T. (2011). Virtual reality training in neurosurgery: Review of current status and future applications. Surgical neurology international , 2, 52. Luciano, C. J., Banerjee, P. P., Bellotte, B., Oh, G. M., Lemole, M., Charbel, F. T., & Roitberg, B. (2011). Learning retention of thoracic pedicle screw placement using a high-resolution augmented reality simulator with haptic feedback. Neurosurgery , 69(1 Suppl Operative), ons14-9; discussion ons19. We evaluated the use of a part-task simulator with 3D and haptic feedback as a training tool for a common neurosurgical procedure--placement of thoracic pedicle screws. Stidd, D. A., Polonski, L., Anton, R., & Lemole, G. M. (2011). Transcranial Orbitotomy for Excision of Orbital Tumors: A Case Series. Skull Base . Yudkowsky, R., Luciano, C., Banerjee, P., Alaraj, A., Lemole, G. M., Schwartz, A., Charbel, F., Mlinarevich, N., Smith, K., Gandhi, S., & Rizzi, S. (2011). Ventriculostomy Practice on a Library of Virtual Brains using a VR/Haptic Simulator Improves Simulator and Surgical Outcomes. Simulation in Healthcare . Herrera, S. R., Chan, M., Alaraj, A. M., Neckrysh, S., Lemole, M. G., Amin-Hanjani, S., Slavin, K. V., & Charbel, F. T. (2010). CT Ventriculography for diagnosis of occult ventricular cysticerci. Surgical neurology international , 1, 92. Neurocysticercosis is the most common parasitic infection of the central nervous system (CNS). Intraventricular lesions are seen in 7-20% of CNS cysticercosis. Intraventricular lesions can be missed by computed tomography (CT) and magnetic resonance imaging (MRI) as they are typically isodense/isointense to the cerebrospinal fluid. We present our experience with CT ventriculography to visualize occult cysts. Lemole, G. M. (2010). A Library of Virtual Brains for Ventriculostomy Practice on a VR/Haptic Simulator - Initial Validity Evidence. Simulation in Healthcare . Lemole, G. M. (2009). Combined Skull Base Approaches for Extraction of Clival/Brain Stem Nail. Skull Base . Lemole, G. M., & Ahmad, A. (2009). Orbital Apex Lymphangioma. Skull Base . Lemole, G. M., & Joe, S. (2009). Endonasal Skull Base Approach for Treatment of a Basal Encelphalocele in a Patient with Morning Glory Syndrome. Skull Base . Lemole, G. M., & Joe, S. (2009). Recyling the Nasal Septal Flap. Skull Base . Lemole, M., Banerjee, P. P., Luciano, C., Charbel, F., & Oh, M. (2009). Virtual ventriculostomy with 'shifted ventricle': neurosurgery resident surgical skill assessment using a high-fidelity haptic/graphic virtual reality simulator. Neurological research , 31(4), 430-1. Based on a study of 48 neurological residents using a high fidelity haptic/graphic virtual reality simulator to perform ventricular cannulation, we recorded absolute Euclidean distance from the catheter tip to the foramen of Monroe within the ventricle. The data suggest that as expected, successful first attempts to cannulate the virtual 'shifted ventricle' are much less frequent than previous assessments with normal virtual ventricular anatomy. Furthermore, the significant improvement observed by the second attempt implies that the learning curve has been affected and the process 'jump started'. Lemole, G. M., Banerjee, P. P., Luciano, C., Neckrysh, S., & Charbel, F. T. (2007). Virtual reality in neurosurgical education: part-task ventriculostomy simulation with dynamic visual and haptic feedback. Neurosurgery , 61(1), 142-8; discussion 148-9. Mastery of the neurosurgical skill set involves many hours of supervised intraoperative training. Convergence of political, economic, and social forces has limited neurosurgical resident operative exposure. There is need to develop realistic neurosurgical simulations that reproduce the operative experience, unrestricted by time and patient safety constraints. Computer-based, virtual reality platforms offer just such a possibility. The combination of virtual reality with dynamic, three-dimensional stereoscopic visualization, and haptic feedback technologies makes realistic procedural simulation possible. Most neurosurgical procedures can be conceptualized and segmented into critical task components, which can be simulated independently or in conjunction with other modules to recreate the experience of a complex neurosurgical procedure. Luciano, C., Banerjee, P., Lemole, G. M., & Charbel, F. (2006). Second generation haptic ventriculostomy simulator using the ImmersiveTouch system. Studies in health technology and informatics , 119, 343-8. Ventriculostomy is a neurosurgical procedure that consists of the insertion of a catheter into the ventricles of the brain for relieving the intracranial pressure. A distinct "popping" sensation is felt as the catheter enters the ventricles. Early ventriculostomy simulators provided some basic audio/visual feedback to simulate the procedure, displaying a 3D virtual model of a human head. Without any tactile feedback, the usefulness of such simulators was very limited. The first generation haptic ventriculostomy simulators incorporated a haptic device to generate a virtual resistance and "give" upon ventricular entry. While this created considerable excitement as a novelty device for cannulating ventricles, its usefulness for teaching and measuring neurosurgical expertise was still very limited. Poor collocation between the haptic device stylus held by the surgeon and the visual representation of the virtual catheter, as well as the lack of a correct viewer-centered perspective, created enormous confusion for the neurosurgeons who diverted their attention from the actual ventriculostomy procedure to overcoming the limitations of the simulator. We present a second generation haptic ventriculostomy simulator succeeding over the major first generation limitations by introducing a head and hand tracking system as well as a high-resolution high-visual-acuity stereoscopic display to enhance the perception and realism of the virtual ventriculostomy. Lanzino, G., Passacantilli, E., Lemole, G. M., McDougall, C., & Spetzler, R. F. (2003). Scalp arteriovenous malformation draining into the superior sagittal sinus associated with an intracranial arteriovenous malformation: just a coincidence? Case report. Neurosurgery , 52(2), 440-3; discussion 443. Recent experimental and clinical evidence suggests that hemodynamic changes in the venous system can induce the formation of new arteriovenous malformations (AVMs). In a rat model, increased venous pressure induces the formation of soft tissue and dural AVMs. We report a clinical observation that may support these data. Lemole, G. M., Henn, J. S., Zabramski, J. M., & Spetzler, R. F. (2003). Modifications to the orbitozygomatic approach. Technical note. Journal of neurosurgery , 99(5), 924-30. The orbitozygomatic craniotomy is one of the workhorse approaches of skull base surgery, providing wide, multidirectional access to the anterior and middle cranial fossae as well as the basilar apex. Complete removal of the orbitozygomatic bar increases the angles of exposure, decreases the working depth of the surgical field, and minimizes brain retraction. In many cases, however, only a portion of the exposure provided by the full orbitozygomatic approach is needed. Tailoring the extent of the bone resection to the specific lesion being treated can help lower approach-related morbidity while maintaining its advantages. The authors describe the technical details of the supraorbital and subtemporal modified orbitozygomatic approaches and discuss the surgical indications for their use. Modifications to the orbitozygomatic approach are an example of the ongoing adaptation of skull base procedures to general neurosurgical practice. Henn, J. S., Lemole, C. M., Ferreira, M. A., Schornak, M., Preul, M., & Spetzler, R. F. (2002). Black holes of the brain: how to reach challenging areas of the cerebrum. Clinical neurosurgery , 49, 19-26. Numerous techniques and tools can be used to access difficult areas of the cerebrum: skull base techniques, modern operating room equipment, and a unified team approach. Using these principles, challenging areas of the cerebrum can be approached with maximal success and minimal morbidity. These techniques are powerful tools in the armamentarium of neurosurgeons and can improve any neurosurgical approach. The basilar region remains one of the most difficult areas to approach. Despite its inherent complexity, lesions of the basilar region can be treated successfully. The far-lateral approach is used to access the lower two-fifths of the basilar region; the transcochlear approach is used to access the middle fifth of the basilar region; and the orbitozygomatic approach is used to access the upper two-fifths of the basilar region. Each approach beautifully exemplifies the principles of skull base surgery. Henn, J. S., Lemole, G. M., Ferreira, M. A., Gonzalez, L. F., Schornak, M., Preul, M. C., & Spetzler, R. F. (2002). Interactive stereoscopic virtual reality: a new tool for neurosurgical education. Technical note. Journal of neurosurgery , 96(1), 144-9. The goal of this study was to develop a new method for neurosurgical education based on interactive stereoscopic virtual reality (ISVR). Interactive stereoscopic virtual reality can be used to recreate the three-dimensional (3D) experience of neurosurgical approaches much more realistically than standard educational methods. The demonstration of complex 3D relationships is unrivaled and easily combined with interactive learning and multimedia capabilities. Interactive stereoscopic virtual reality permits the accurate recreation of neurosurgical approaches through integration of several forms of stereoscopic multimedia (video, interactive anatomy, and computer-rendered animations). The content explored using ISVR is obtained through a combination of approach-based cadaver dissections, live surgical images and videos, and computer-rendered animations. These media are combined through an interactive software interface to demonstrate key aspects of a neurosurgical approach (for example, patient positioning, draping, incision, individual surgical steps, alternative steps, relevant anatomy). The ISVR platform is designed for use on a desktop personal computer with newly developed, inexpensive, platform-independent shutter glasses. Interactive stereoscopic virtual reality has been used to capture the anatomy and methods of several neurosurgical approaches. In this paper the authors report their experience with ISVR and describe its potential advantages. The success of a neurosurgical approach is contingent on the mastery of complex, 3D anatomy. A new technology for neurosurgical education, ISVR can improve understanding and speed the learning process. It is an effective tool for neurosurgical education, bridging the substantial gap between textbooks and intraoperative training. Lemole, G. M., Henn, J., Javedan, S., Deshmukh, V., & Spetzler, R. F. (2002). Cerebral revascularization performed using posterior inferior cerebellar artery-posterior inferior cerebellar artery bypass. Report of four cases and literature review. Journal of neurosurgery , 97(1), 219-23. Cerebral revascularization is often required for the surgical treatment of complex intracranial aneurysms. In certain anatomical locations, vascular anatomy and redundancy make in situ bypass possible. The authors present four patients who underwent revascularization performed using the rarely reported posterior inferior cerebellar artery (PICA)-PICA in situ bypass after their aneurysms had been trapped. At Barrow Neurological Institute, between 1991 and the present, four male patients underwent PICA-PICA by-passes to treat aneurysms involving the vertebral artery, the PICA, or both. The mean age of these patients was 34 years (range 5-49 years). Follow-up studies revealed patent bypasses and no evidence of infarction. Patient outcomes were excellent or good. Multiple surgical techniques have been described for revascularization of at-risk cerebral territories. Often, the blood supply must be derived from extracranial sources through a mobilized pedicle or interposited graft. Certain anatomical locations such as the vertebrobasilar junction, the anterior circle of Willis, and the middle cerebral artery bifurcation are amenable to in situ bypass because there is vessel redundancy or proximity to the contralateral analogous vessel. The advantages of an in situ bypass include one suture line, a short bypass distance, and a close match with the caliber of the recipient graft. Although technically challenging, this technique can be successful and should be considered for appropriate candidates. Riina, H. A., Lemole, G. M., & Spetzler, R. F. (2002). Anterior communicating artery aneurysms. Neurosurgery , 51(4), 993-6; discussion 996. ANTERIOR COMMUNICATING ARTERY aneurysms are complex lesions for which surgical success requires extensive preoperative and intraoperative planning. Adherence to the tenets of aneurysm surgery, including vascular control and preservation of perforating arteries, is essential for their exclusion from the circulation. Spetzler, R. F., Riina, H. A., & Lemole, G. M. (2001). Giant aneurysms. Neurosurgery , 49(4), 902-8. David, C. A., Vishteh, A. G., Spetzler, R. F., Lemole, M., Lawton, M. T., & Partovi, S. (1999). Late angiographic follow-up review of surgically treated aneurysms. Journal of neurosurgery , 91(3), 396-401. This study was undertaken to evaluate the long-term angiographic outcome of surgically treated aneurysms, which is unknown. Specifically, the incidence of recurrent aneurysms, the fate of residual necks, and the de novo formation of aneurysms were evaluated. Ashton, R. C., Libutti, S. K., Oz, M. C., Lontz, J. F., Lemole, G. M., & Lemole, G. M. (1992). The effects of laser-assisted fibrinogen bonding on suture material. The Journal of surgical research , 53(1), 39-42. To evaluate the effect of laser-assisted fibrinogen bonding on the tensile strength of suture material, 10 types of sutures were exposed to various time intervals of diode laser energy after pretreatment with dye-enhanced fibrinogen solder. After exposure, each suture material was stressed on a tensometer and compared with nonlased suture material. Our results indicate that polytetrafluoroethylene suture material was virtually unaffected at all time intervals of exposure to laser energy. Polyester suture material retained 64.3% of its tensile strength at 60 sec of exposure to laser energy. White silk suture material maintained 80% of its initial tensile strength at 60 sec of exposure. These suture materials may be used safely in conjunction with laser-assisted fibrinogen bonding even if prolonged laser exposure is necessary. The other suture materials tested may be compromised significantly by prolonged exposure to laser energy and must be used with relatively shorter irradiation periods. Ashton, R. C., Oz, M. C., Lontz, J. F., Matsumae, M., Taylor, R., Lemole, G. M., Shapira, N., & Lemole, G. M. (1991). Laser-assisted fibrinogen bonding of vascular tissue. The Journal of surgical research , 51(4), 324-8. Characterization of the stress-strain profiles of welded tissue would provide an additional means of analyzing this new technology and comparing it with alternative anastomosing techniques. Rabbit longitudinal aortotomies were repaired with either 7-O polypropylene sutures or an 808-nm diode laser (power density, 4.8 watts/cm2) after topical application of fibrinogen mixed with indocyanine green dye (peak absorption, 805 nm). The rabbits were sacrificed between 0 and 28 days, and the fresh aortic specimens were strained axially in diluted plasma solution until ultimate breakage occurred in order to produce a stress-strain profile graph. No significant differences were noted between sutured and bonded aorta at any time interval. Nonincised aortic tissue (378 lb/in2) withstood significantly higher stress (P less than 0.05) than both sutured (257 lb/in2) and bonded (210 lb/in2) groups at the time of creation. By 7 days after operation, however, no significant differences were noted among any of the three groups. At 28 days after operation, the laser-bonded aorta was significantly stronger than the control aorta (P less than 0.05). The only significant difference in modulus (stretchability) identified the sutured aorta (373 lb/in2) to be more rigid than the control aorta (231 lb/in2) (P less than 0.05). Both sutured and laser-bonded anastomoses are weaker than control aorta initially; however, after an early critical period, both treatments achieve the strength of control aorta. By 1 month postoperatively, sutured anastomoses have the disadvantage of being less distensible. Khan, R., Probst, J., Harms, C., Albasha, H., Wang, J., Reyes, D., Squires, R., Choudhary, G., & Lemole, G. M. (2016, May). Volumetric MRI Options for Cranial Nerve Imaging: Knowing the Anatomy and Pathology. In ASNR 54th Annual Meeting, Washington D.C. .
Ramey, W. L., Walter, C. M., Zeller, J., Dumont, T. M., Lemole, G. M., & Hurlbert, R. J. (2017, October). Neurotrauma after Jumping Over the United States-Mexico Border Wall: Demographics and Cost Analysis . EANS 2017 Annual Meeting Controversies and Solutions in Neurosurgery, Venice, Italy in October 1 - 5, 2017. Venice, Italy: EANS. Romanowski, M., Lemole, G. M., Martirosyan, N., Watson, J., Camp, L., Camp, L., Watson, J., Martirosyan, N., Lemole, G. M., & Romanowski, M. (2017, October). Development Of Augmented Microscope For Image Guided Surgery (talk) . BMES 2017 Annual Meeting. Phoenix, Arizona: BMES. Lemole, G. M. (2016, February). Combined Approaches to the Skull Base for Intracranial Extension of Tumors via Perineural Spread can Improve Patient Outcomes . North American Skull Base Society, 26th Annual Meeting. Lemole, G. M. (2016, February). Intraoperative Vascular Imaging with Augmented Microscopy . At Molecular-Guided Surgery: Molecules, Devices, and Applications II, SPIE BiOS. Bina, R., Lemole, G. M., & Dumont, T. M. (2015, Fall). Measuring quality of neurosurgical care: Readmission is affected by patient factors. . Arizona Neurosurgical Society Annual Meeting. Tucson, Arizona: Arizona Neurosurgical Society. Oral Presentation at regional meetingI was senior author of project. Lemole, G. M. (2014, May). Pseudoprogression and lesion response in metastatic disease of the brain treated by radiosurgery . 45th Annual Meeting of the Western Neuroradiological Society. Lemole, G. M. (2015, April). Differentiation of Radiation Necrosis from Recurrent High Grade Glioma Using Multiparametric MRI . American Society of Neuroradiology, 53rd Annual Meeting, Chicago, IL, April 27, 2015 Paper # O-66. Lemole, G. M. (2015, April). Response Assessment of Cerebral Metastases After High-Dose Stereotactic Radiation: Using Combined Diffusion and Perfusion MR Imaging . American Society of Neuroradiology, 53rd Annual Meeting, Chicago, IL, April 29, 2015 Paper # O-504. Lemole, G. M. (2015, April). Response Assessment of Cerebral Metastases After High-Dose Stereotactic Radiation: Using Combined Diffusion and Perfusion MR Imaging . 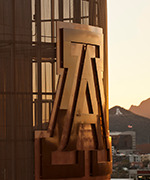 University of Arizona Cancer Center – Scientific Retreat. Lemole, G. M. (2015, February). Augmented microscopy with near-infrared fluorescence detection . SPIE Photonics West, San Francisco, CA, February 8, 2015. Lemole, G. M. (2015, November). An Aggressive Multidisciplinary Approach Reduces Mortality in Rhinocerebral Mucormycosis . Arizona Neurosurgical Society Annual Meeting. Lemole, G. M. (2015, November). Combined Approaches to the Skull Base for Intracranial Extension of Tumors via Perineural Spread Can Improve Patient Outcomes . Arizona Neurosurgical Society Annual Meeting. Lemole, G. M. (2015, November). Measuring quality of neurosurgical care: Readmission is affected by patient factors . Arizona Neurosurgical Society Annual Meeting. Lemole, G. M. (2014, April). High dose aspirin associated with worse outcomes in traumatic brain injury but low dose is not: A prospective analysis . Trauma Association of Canada, Annual Scientific Meeting, Montreal, QB, Canada, April 11, 2014. Lemole, G. M. (2014, April). Morbidity and Mortality of Endovascularly Treated Intracerebral Aneurysms: Does Specialty Matter? . American Association of Neurological Surgeons, 82nd Annual Meeting, San Francisco, CA, April 7, 2014 – DePuy Synthes Award. Lemole, G. M. (2014, February). Incidence of Traumatic Intracranial Aneurysm in Blunt Trauma Patients: A 10-year Report. At 9th Annual Academic Surgical Congress, San Diego, CA, February 6, 2014 . 9th Annual Academic Surgical Congress, San Diego, CA, February 6, 2014. Lemole, G. M. (2014, May). Pseudoprogression and Lesion Response in Metastatic Disease of the Brain Treated by Radiosurgery . American Society of Neuroradiology, 52nd Annual Meeting, Montréal, Canada, May 20, 2014 Paper # O-458. Lemole, G. M. (2014, May). Whole Brain Dynamic Contrast-Enhanced MR Perfusion for Posttreatment Evaluation of Brain Tumors: Use of ‘Stack-of-Stars’ Scheme and k-Space Weighted Image Contrast . American Society of Neuroradiology, 52nd Annual Meeting, Montréal, Canada, May 20, 2014 Paper # O-405. Lemole, G. M. (2014, November). Integration of ICG videoangiography with operative microscope: augmented reality for interactive assessment of vascular structures and blood flow . Arizona Neurosurgical Society Fall Meeting. Lemole, G. M. (2013, October). Fat graft repair of skull base defects: An MRI evaluation of interval changes in size and quality . Arizona Neurosurgical Society Annual Meeting; October 12, 2013; Tucson, AZ. Lemole, G. M. (2013, October). Pseudoprogression and lesion response in metastatic disease of the brain treated by Radiosurgery . Western Neuroradiology Society, 45th Annual Meeting, Waikoloa, HI, October 16, 2013. Lemole, G. M. (2013, October). Pseudoprogression and lesion response in metastatic disease of the brain treated by radiosurgery . Oral presentation by Dr. Erly at: 45th Annual Meeting of the Western Neuroradiological Society, Waikoloa, HI, Oct 16-19, 2013. Lemole, G. M. (2013, October). Review of Postoperative Infections Following Cranioplasty Performed at a Single Institution . Arizona Neurosurgical Society Annual Meeting, Tucson, AZ, October 12, 2013. Lemole, G. M. (2013, October). Whole Brain Dynamic Contrast-Enhanced MR Perfusion for Posttreatment Evaluation of Brain Tumors: Use of ‘Stack-of-Stars’ Scheme and k-Space Weighted Image Contrast . Western Neuroradiology Society, 45th Annual Meeting, Waikoloa, HI, October 16, 2013. Lemole, G. M. (2012, November). Concomitant Intrathecal Chemotherapy and Ventriculoperitoneal Shunting in a Pediatric Patient with Hematogenous Malignancy . Arizona Neurosurgical Society Annual Meeting, Tucson, AZ November 3, 2012. Palejwala, S., Stidd, D. A., Skoch, J., Gupta, P., Lemole, G. M., & Weinand, M. E. (2012, November). Use of a stop-flow programmable valve to maximize CNS chemotherapy delivery in a pediatric patient with CNS leukemia . Arizona Neurosurgical Society Annual Meeting. Lemole, G. M. (2011, February). Nasoseptal Flap Harvest After Previous Transnasal Transseptal Surgery (#116) . North American Skull Base Society, 21st Annual Meeting, Scottsdale, AZ, February 19, 2011. Lemole, G. M. (2011, February). Orbitotomy for Excision of Orbital Tumors: A Case Series (#178) . North American Skull Base Society, 21st Annual Meeting, Scottsdale, AZ, February 20, 2011. Lemole, G. M. (2010, April). Surgical Anatomy of the Sphenoid Sinus, Internal Carotid Artery and Distances to Critical Structures . Chicago Laryngologic and Otologic Society Lederer-Pierce Research Competition, Chicago, IL, April 12, 2010. Lemole, G. M. (2010, October). An Introduction to the Endoscopic, Endonasal Skull Base Approach . Western Neurosurgical Society, 56th Annual Meeting, Santa Fe, NM, October 9, 2010. Nisson, P. L., Mooney, M. A., Abassifard, S., Walter, C. M., Janke, H., Kim, H., Dumont, T. M., Lemole, G. M., Lawton, M., & Spetzler, R. (2017, October). The Mortality and Incidence of Residual for Posterior Fossa Arteriovenous Malformations . Congress of Neurological Surgeons, 66th Annual Meeting, Boston, MA, October 7-11, 2017. Boston, MA: Congress of Neurological Surgeons. Romanowski, M., Lemole, G. M., Burton, H., & Chambers, R. (2017, October). Pupillary Device Design for Ocular Cranial Nerve Monitoring . BMES 2017 Annual Meeting. Garland, S., Watson, J. R., Martirosyan, N., Lemole, G. M., & Romanowski, M. (2016, October). Modular Augmented Microscopy with Spatial Light Modulation. Biomedical Imaging and Optics Abstract Sub Track: Imaging Techniques in Neuroscience . Biomedical Engineering Society (BMES) Annual Meeting. Hassanzadeh, T., James, W. S., Borgstrom, M., & Lemole, G. M. (2016, November). Predictors of cerebral spinal fluid rhinorrhea following endoscopic endonasal skull base surgery: An institutional retrospective study . Congress of Neurological Surgeons, 5th Annual Meeting, Santa Monica, CA, November, 2016. Lemole, G. M. (2016, April). Ergonomic Assessment During Neurosurgical Procedures Using Body-Worn Sensors: Freedom of Motion Dictates Exhaustion . Association of Neurological Surgeons, 84th Annual Meeting, Chicago, IL, April 30-May 4, 2016. Lemole, G. M. (2016, February). An Aggressive Multidisciplinary Approach Reduces Mortality in Rhinocerebral Mucormycosis . North American Skull Base Society, 26th Annual Meeting, Scottsdale, AZ, February 12-16, 2016. Lemole, G. M. (2016, September). Measuring quality of neurosurgical care: Readmission is affected by patient factors . Congress of Neurological Surgeons, 65th Annual Meeting, San Diego, CA, September 24-28, 2016. Lemole, G. M. (2016, September). Predictors of cerebral spinal fluid rhinorrhea following endoscopic endonasal skull base surgery: An institutional retrospective study . Congress of Neurological Surgeons, 65th Annual Meeting, San Diego, CA, September 24-28, 2016. Lemole, G. M. (2016, September). Socioeconomic and Regional Differences in the Treatment of Cervical Spondylotic Myelopathy . Congress of Neurological Surgeons, 65th Annual Meeting, San Diego, CA, September 24-28, 2016. Lemole, G. M. (2016, September). Surgical Treatment of Post-Laminectomy Syndrome Varies Dependent on Population Density, Region, and Insurance Payor . Congress of Neurological Surgeons, 65th Annual Meeting, San Diego, CA, September 24-28, 2016. Lemole, G. M., & Lemole, G. M. (2016, May). Volumetric MRI options for Cranial Nerve Imaging: Knowing the Anatomy and Pathology . American Society of Neuroradiology, 54th Annual Meeting, Washington, DC, May 21-26, 2016. Lemole, G. M. (2015, August). The Golden Hour: Association between Time to Decompressive Surgical Intervention and Survival after Traumatic Brain Injury . Military Health System Research Symposium (MHSRS), Fort Lauderdale, FL, August 17-20, 2015. Lemole, G. M. (2015, May). Increased rate of inadvertent durotomy during lumbar microdiskectomy at teaching institutions . American Association of Neurological Surgeons, 82nd Annual Meeting, San Francisco, CA, April 5-9, 2014. Lemole, G. M. (2015, October). Comparing Outcomes of Meningiomas Treated with Stereotactic Radiosurgery, Stereotactic Radiotherapy, or Intensity Modulated Radiotherapy: a 10-year Single-Institution Experience . American Society Therapeutic Radiation Oncology (ASTRO), San Antonio, TX, October 18-21, 2015. Lemole, G. M. (2015, September). Dedifferentiation of a Clival Chordoma after Proton Beam Therapy in a Pediatric Patient . American Society of Head & Neck Radiology, Naples, FL, September 9-13, 2015. Lemole, G. M. (2014, April). Augmented Integration of ICG Videoangiography with Operative Microscope Allows Simultaneous Real-time Assessment of Vascular Structures and Blood Flow . American Association of Neurological Surgeons, 82nd Annual Meeting, San Francisco, CA, April 5-9, 2014. Lemole, G. M. (2014, April). Chronic NSAID use in patients with glioblastoma multiforme brain tumor . American Association of Neurological Surgeons, 82nd Annual Meeting, San Francisco, CA, April 5-9, 2014. Lemole, G. M. (2014, April). Microsurgical anatomy of arterial ring of conus medullaris . American Association of Neurological Surgeons, 82nd Annual Meeting, San Francisco, CA, April 5-9, 2014. Lemole, G. M. (2014, April). Removal of Symptomatic Craniofacial Titanium Hardware Following Craniotomy: Case Series and Review . American Association of Neurological Surgeons, 82nd Annual Meeting, San Francisco, CA, April 5-9, 2014. Lemole, G. M. (2014, February). Solitary Fibrous Tumor of the Orbit in Conjunction with Metastatic Prostate Cancer . North American Skull Base Society, 24th Annual Meeting, San Diego, CA, February 14-16, 2014. Lemole, G. M. (2014, March). A Deep Penetrating Brainstem Lesion. At AudiologyNow! . American Academy of Audiology, March 26-29, Orlando, FL, 2014. Lemole, G. M. (2014, May). Removal of Symptomatic Craniofacial Titanium Hardware Following Craniotomy: Case Series and Review . University of Arizona Graduate Medical Education Scholarly Day, May 20, 2014; Tucson, AZ. Lemole, G. M. (2014, May). Review of Postoperative Infections Following Cranioplasty Performed at a Single Institution . University of Arizona Graduate Medical Education Scholarly Day, May 20, 2014; Tucson, AZ. Lemole, G. M. (2013, April). Intracranial Nail-Gun Injury: Case Report and Literature Review . American Association of Neurological Surgeons, 81st Annual Meeting, New Orleans, LA, April 27 – May 1, 2013. Lemole, G. M. (2013, April). Low Dose Aspirin Therapy Is Not a Reason for Repeating Head Computed Tomographic Scans in Traumatic Brain Injury: A Prospective Study . American Association of Neurological Surgeons, 81st Annual Meeting, New Orleans, LA, April 27 – May 1, 2013. Lemole, G. M. (2013, February). Injury to the Temporal Lobe via Medial Transorbital Entry of a Toothbrush . North American Skull Base Society, 23rd Annual Meeting, Miami, FL, February 15-17, 2013. Lemole, G. M. (2013, February). Nonspecific Inflammatory Tumors of the Skull Base: Case Series . North American Skull Base Society, 23rd Annual Meeting, Miami, FL, February 15-17, 2013. Lemole, G. M. (2013, February). Retrospective Study of Skull Base Fracture: A Study of Incidents, Complications, Management, and Outcome Overview from Trauma-One-Level Institute over Five Years . North American Skull Base Society, 23rd Annual Meeting, Miami, FL, February 15-17, 2013. Lemole, G. M. (2013, May). Use of a Stop-Flow Programmable Shunt Valve to Maximize CNS Chemotherapy Delivery in a Pediatric Patient with CNS Leukemia . At the University of Arizona Graduate Medical Education Scholarly Day, May 21, 2013; Tucson, AZ. Lemole, G. M. (2013, October). 3D Photoacoustic Vascular Imaging: Proof of Concept for a Novel Intraoperative Angiography Tool . Congress of Neurological Surgeons, 62nd Annual Meeting, San Francisco, CA, October 19-23, 2013. Lemole, G. M. (2013, October). Fat graft repair of skull base defects: An MRI evaluation of interval changes in size and quality . Congress of Neurological Surgeons, 62nd Annual Meeting, San Francisco, CA, October 19-23, 2013. Lemole, G. M. (2013, October). Pseudoprogression and lesion response in metastatic disease of the brain treated by radiosurgery . Frontiers in Biomedical Research, Tucson, Arizona, Oct 30, 2013. Lemole, G. M. (2013, October). Removal of Symptomatic Craniofacial Titanium Hardware Following Craniotomy: Case Series and Review . Frontiers in Biomedical Research, Poster Forum, Tucson, AZ, October 30, 2013. Lemole, G. M. (2013, October). Review of Postoperative Infections Following Cranioplasty Performed at a Single Institution . Congress of Neurological Surgeons, 62nd Annual Meeting, San Francisco, CA, October 19-23, 2013. Lemole, G. M. (2013, October). Review of Postoperative Infections Following Cranioplasty Performed at a Single Institution . Frontiers in Biomedical Research, Poster Forum, Tucson, AZ, October 30, 2013. Lemole, G. M. (2013, October). Use of a stop-flow programmable valve to maximize CNS chemotherapy delivery in a pediatric patient with CNS leukemia . Congress of Neurological Surgeons, 62nd Annual Meeting, San Francisco, CA, October 19-23, 2013. Lemole, G. M. (2012, January). Ventriculostomy Practice on a Library of Virtual Brains Using a VR/Haptic Simulator Improves Simulator and Surgical Outcome . 12th Annual International Meeting on Simulation in Healthcare (IMSH), San Diego, CA, January 28 - February 1, 2012 - First Place Research Abstract. Lemole, G. M. (2011, January). A Library of Virtual Brains for Ventriculostomy Practice on a VR/Haptic Simulator - Initial Validity Evidence . International Meeting for Simulation in Healthcare (IMSH) - 11th Annual International Meeting, New Orleans, LA, January 21-26, 2011. Lemole, G. M. (2011, March). Traumatic Thoracolumbar Fractures Treated with Short-Segment Pedicle Instrumentation (#8858) . AANS/CNS Section on Disorders of the Spine and Peripheral Nerves, Annual Meeting, Phoenix, Arizona, March 9-12, 2011. Lemole, G. M. (2011, September). Assessment of an Intervention Bundle for Traumatic Brain Injury: When are Intracranial Pressure Monitors Necessary? . American Association for the Surgery of Trauma and Clinical Congress of Acute Care Surgery, 70th Annual Meeting, Chicago, IL, September 14-17, 2011. Lemole, G. M. (2010, May). Revisited Technique to Diagnose MR-Occult Ventricular Neurocysticercosis (Poster Number:1370 Topic: General Interest) . American Association of Neurological Surgeons, 78th Annual Meeting, Philadelphia, PA, May 1-5, 2010. Lemole, G. M. (2010, October). Colon Adenocarcinoma Metastasis to the Cauda Equina with a Growth Pattern Mimicking a Schwannoma . Congress of Neurological Surgeons, 60th Annual Meeting, San Francisco, CA, October 17-21, 2010. Martirosyan, N. L., Carotenuto, A., Patel, A. A., Kalani, M. Y., Yagmurlu, K., Lemole, G. M., Preul, M. C., & Theodore, N. (2016. The Role of microRNA Markers in the Diagnosis, Treatment, and Outcome Prediction of Spinal Cord Injury(p. 56). Spinal cord injury (SCI) is a devastating condition that affects many people worldwide. Treatment focuses on controlling secondary injury cascade and improving regeneration. It has recently been suggested that both the secondary injury cascade and the regenerative process are heavily regulated by microRNAs (miRNAs). The measurement of specific biomarkers could improve our understanding of the disease processes, and thereby provide clinicians with the opportunity to guide treatment and predict clinical outcomes after SCI. A variety of miRNAs exhibit important roles in processes of inflammation, cell death, and regeneration. These miRNAs can be used as diagnostic tools for predicting outcome after SCI. In addition, miRNAs can be used in the treatment of SCI and its symptoms. Significant laboratory and clinical evidence exist to show that miRNAs could be used as robust diagnostic and therapeutic tools for the treatment of patients with SCI. Further clinical studies are warranted to clarify the importance of each subtype of miRNA in SCI management. Horn, E. M., Henn, J. S., Lemole, G. M., Hott, J. S., & Dickman, C. A. (2004. Thoracoscopic placement of dual-rod instrumentation in thoracic spinal trauma(pp 1150-3; discussion 1153-4). Traditionally, thoracic fractures that require anterior stabilization are treated through an open thoracotomy approach. Thoracoscopic instrumentation avoids many of the complications associated with an open thoracotomy but is technically challenging. We report the first cases of dual-rod internal fixation systems placed thoracoscopically for thoracic spinal trauma. Lemole, G. M. (2013, January). Retrosigmoid Intradural Inframeatal Approach: Indications And Technique. Neurosurgery. Yudkowsky, R., Luciano, C., Banerjee, P., Schwartz, A., Alaraj, A., Lemole, G. M., Charbel, F., Smith, K., Rizzi, S., Byrne, R., Bendok, B., & Frim, D. (2013, Spring). Practice on an augmented reality/haptic simulator and library of virtual brains improves residents' ability to perform a ventriculostomy. Simulation in healthcare : journal of the Society for Simulation in Healthcare. Ventriculostomy is a neurosurgical procedure for providing therapeutic cerebrospinal fluid drainage. Complications may arise during repeated attempts at placing the catheter in the ventricle. We studied the impact of simulation-based practice with a library of virtual brains on neurosurgery residents' performance in simulated and live surgical ventriculostomies. Lemole, G. M. (2012, November). Recession of Ommaya Reservoir Improves Cosmesis in Patients Undergoing Intrathecal Chemotherapy for Leptomeningeal Disease: a Technical Note. Cureus. Banerjee, P. P., Luciano, C. J., Lemole, G. M., Charbel, F. T., & Oh, M. Y. (2007, Unknown). Accuracy of ventriculostomy catheter placement using a head- and hand-tracked high-resolution virtual reality simulator with haptic feedback. Journal of neurosurgery.